Can We Play With Your Dog? 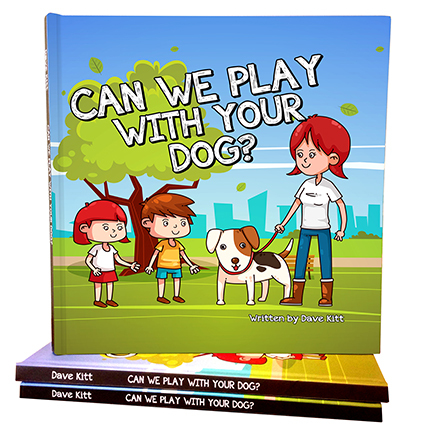 is a fun yet educational story about the importance of always asking a dog’s owner if it is alright to play with them. Enjoy this educational picture book as two siblings embark on a trip to the park in order to find some dogs they can play with. Their dad reminds them the importance of always asking the dog’s owner if it is alright to play with them. As they search for dogs they learn some valuable lessons about the different types of personalities and responsibilities dogs can have. Will their search be successful?